Lately, the buzz around the benefits (both inside and out) of coconut oil rival that of any of its big name predecessors. And, argan, olive, and jojoba oils seem to have nothing on it. Here’s why it’s as amazing as everyone is saying. Like the name implies — coconut oil is extracted from ripe coconuts (specifically the white meat-y center). And, while you might have only recently started to hear about this multifunctional oil, it’s not because it hasn’t been around. Places around the world where the coconut palm tree grows have been using it for centuries in the kitchen and in their beauty routine (think Africa, Hawaii, and all those other tropical locales that you’re probably dreaming about right now). 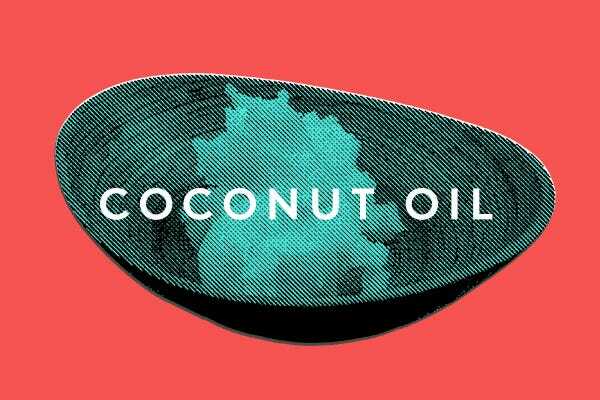 “Coconut oil used to be shunned because it contains [so much] saturated fat. But, it’s now a trendy oil, as we've learned the saturated fat in the oil actually isn’t as unhealthy as once believed,” says Brooke Alpert, RD, a registered dietitian in New York City and founder of B Nutritious, who notes that coconut oil has about 12 grams of saturated fat per tablespoon. Historically, another issue that deterred many from adding coconut oil to their diets was that it was typically hydrogenated, and that can skyrocket bad cholesterol. 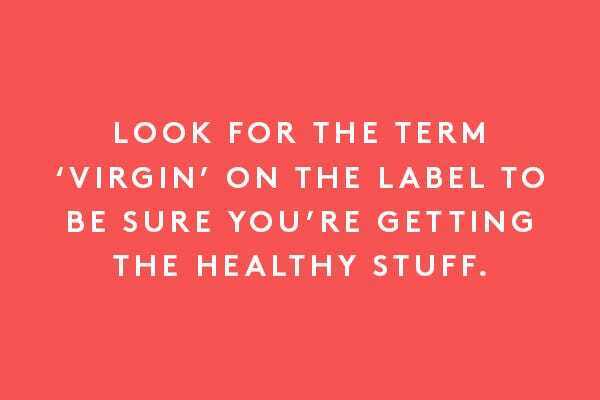 But, now you can look for terms like ‘virgin’ or ‘refined’ on the label to be sure you’re getting the healthy, non-hydrogenated stuff. 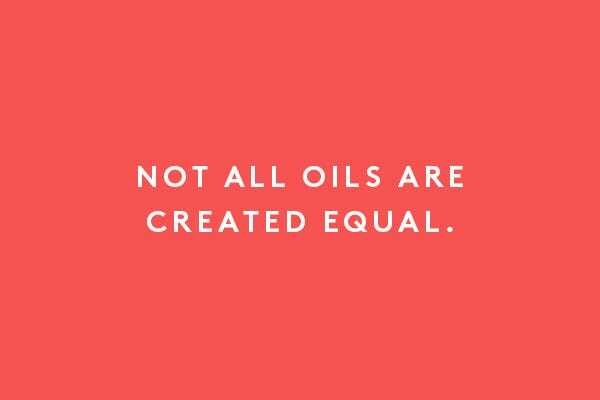 Research into various oils — and there is a lot — reveals that not all of them are created equal. Various oils have different types of triglycerides — essentially chains of fatty acids — and this is where coconut oil stands out. EVOO has long-chain triglycerides (LCT) and coconut has medium-chain triglycerides (MCT). Experts say the body more readily absorbs MCTs — so they don’t stress out your digestive tract and are more readily used as energy by the body. Specifically, coconut oil contains the MCT lauric acid, an important type of saturated fat that is found in breast milk and that’s been used to feed malnourished babies and in baby formula for decades. Unlike some random good-for-you nutrient or molecule that can be difficult to integrate into your diet — one that you have to actually pop a supplement to get — the beneficial nutrients in coconut oil are easy to access. It can also trump your go-to EVOO in the kitchen because of its interesting consistency and heat-stabilized capability. It’s the solid-to-liquid characteristic that also make it a go-to for vegans (or those who just want eat healthier) as it can be used in similar ways to butter when cooking. “You can cook with it and it can withstand a high temperature. This makes it the perfect oil for sautéed vegetables,” says Alpert. Unrefined coconut oil has a smoke point of 350F, while refined coconut oil has a smoke point of 450F; EVOO has a smoke point of 375F. “So, refined coconut oil does have a higher smoke point than EVOO; however, it is even better to use grapeseed oil (smoke point of 485F) or avocado oil (smoke point of 520F) for very high-heat cooking,” says Jeffrey A. Morrison, MD, founder of The Morrison Center in NYC. Here’s why: “If EVOO is heated beyond it's smoke point, the flavor will change to an undesirable, burnt flavor, and unhealthy chemicals (such as acrylides, which cause oxidative stress) are produced,” notes Dr. Morrison. Dr. Morrison says that coconut oil is at the top of his list of recs for his patients: “It's a healthy saturated fat that can be used for daily food basics,” says Dr. Morrison, who suggests whipping up eggs with one to two tablespoons instead of butter or adding that same amount into your morning protein shake. Plus, there’s a long list of documented potential health benefits, from lowering cholesterol and reducing body fat to helping reverse Alzheimer’s and clearing up acne. “I frequently recommend that people use it if they have high cholesterol, as it helps to improve HDL (good cholesterol) and lower LDL (bad cholesterol),” says Dr. Morrison. It’s coconut oil’s MCT content that some research says can help reduce some symptoms of Alzheimer’s. And, although it might not be on your mind now — Alzheimer's is a disease that affects nearly 5.4 million Americans. Some statistics suggest that by 2050, that number will reach 20 million. According to a recent study in the Journal of Alzheimer’s Disease, coconut oil may lessen or reverse cognitive deficits related to the disease. And, past research suggests MCTs could help reverse Alzheimer’s. “The main fuel source for brain cells is glucose (sugar) and the secondary source is from ketones (fat),” explains Dr. Morrison. “In patients with Alzheimer's disease, there seems to be a decrease in the ability of brain cells to utilize sugar for energy, almost like diabetes of the brain. And, research is showing that using MCT oils as a very easily absorbed fat, and generator of ketones, can fuel brain cells and improve cognitive function in patients with Alzheimer’s,” he says. It doesn’t just stop at nutritional and health benefits. 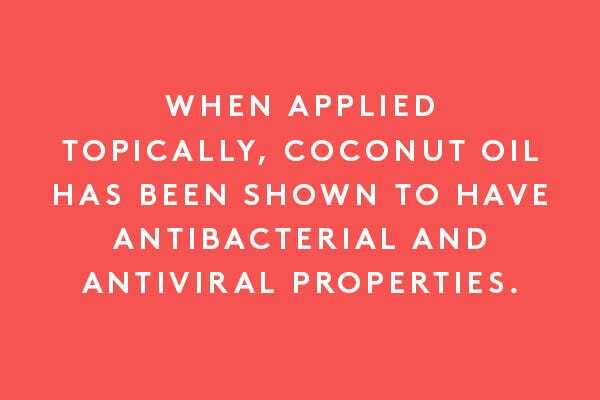 When applied topically, coconut oil has been shown to have antibacterial, antiviral, and anti-yeast properties. On the skin, yeasts can cause common skin conditions that cause flakes and hypopigmentation. The success of coconut oil in treating these conditions is “mostly due to its lauric acid content,” says Dr. Morrison. “There are a few medical articles looking at the anti-bacterial and anti-inflammatory properties of lauric acid, and some recent studies have shown lauric acid to be successful in treating acne.” A recent 2013 study in the Journal of Dermatological Science showed that lauric acid helped heal acne and was as effective as benzoyl peroxide at doing so. “It’s completely natural, smells amazing, and protects skin from drying out,” says Dr. Morrison, who notes that he personally uses it daily on his face and body at night to help hydrate his skin. 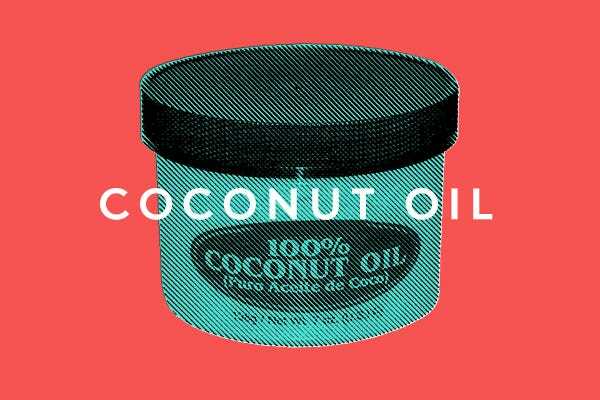 “Coconut oil is also great to use as a lip moisturizer instead of petroleum-based kinds.” And, this explains why coconut oils is relied upon to solve a long list of skin issues — from acne and keratosis pilaris to diaper rash for babies. After enumerating all of coconut oil's benefits, this tropical treat has definitely gotten our attention. 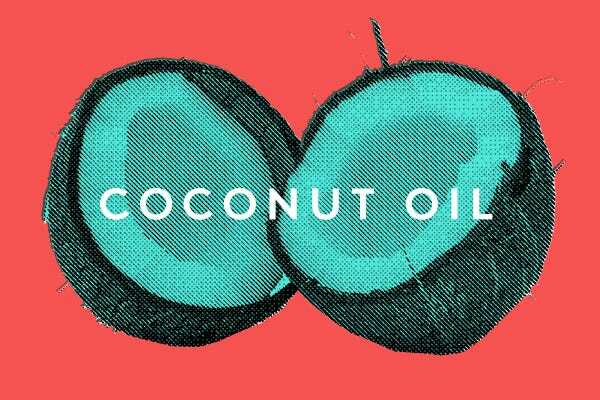 Now, we’ll sit back with hydrated skin, cooking up a coconut-oil storm while the anecdotal and research-based evidence of the oil's nutrition and beauty superpowers continue to pile up.